The company presented its results this month at the annual Lantek International Meeting. The results highlight the strength of the company’s international business, which accounts for 86% of total revenue. Significant progress is apparent in markets with high potential such as China (+67%), where Lantek is already the leader for laser manufacturers, and the US (+47%), where digitization initiatives have existed for some time. Lantek also found that companies took advantage of government grants awarded to businesses that opt for digitization in countries such as: Spain, France, Italy and Poland. A 25% increase in sales over 2016 is due largely to Lantek’s Digital Transformation projects. 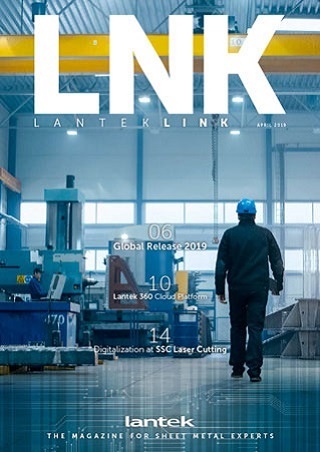 This proves that Lantek was wise to commit in recent years to the development of Industry 4.0 solutions for the sheet metal and fabrication sector. As a result, Lantek will offer a new advanced manufacturing service using MES+ software and Lantek Analytics, which will enable better factory performance through data analysis. “We have committed ourselves to developing advanced manufacturing solutions that connect machines, processes and factories. This facilitates the digital transformation process which is so necessary for our customers today. All these developments aim at turning factories into Smart Factories and improving the competitive positioning of our customers in their sector,” remarked Martínez. This firm commitment to technology associated with Industry 4.0 has made Lantek a pioneer in the digitization of sheet metal companies. It is apparent in Spain, where the company has achieved 14% growth in its Digital Transformation business. It expects to reach 26% in 2018. In Germany, Lantek expects a significant growth of 78% in digitization projects in 2018, since it is a prepared market and has government support for business initiatives linked to Industry 4.0. Regarding investments, in the past year the company allocated $2.2 million to R&D, implementation teams and project development. 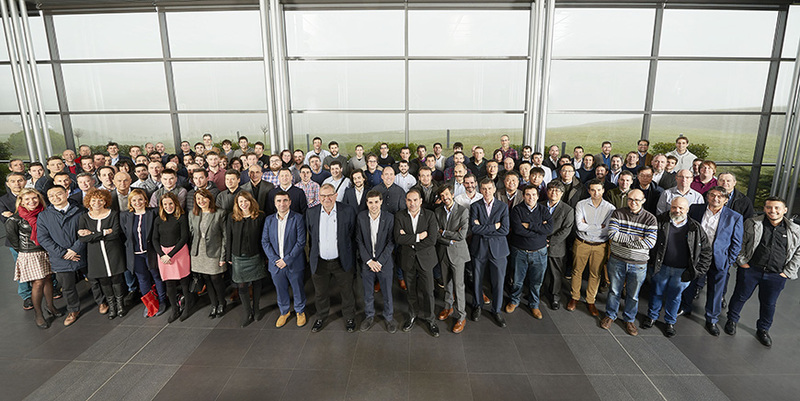 Worthy of note is the opening of a new technological center in Bilbao employing 10 engineers. In 2017, Lantek hired 30 professionals in all departments, increasing the staff to over 200 people across 20 global offices. Founded in 1986 in the Basque Country and with its headquarters in Vitoria-Gasteiz (Álava), Lantek enables the integration of cutting and punching technologies in the plant using the most demanding advanced manufacturing management software. The company is currently the outstanding leader in its sector thanks to its capacity for innovation and commitment to internationalization. With more than 20,000 clients in over 100 countries and its 20 own offices in 14 countries, it has an extensive network of distributors with a worldwide presence. In 2017, its international business contributed to 86% of its revenue.